(partial) Geophysical techniques for exploration of the sea floor. The topography of the ocean floor. Pelagic sediments. Abyssal plain sediments. Movements of the sea floor. Igneous rocks of the ocean basins. The structure of the ocean basins. Polar wandering and continental drift. 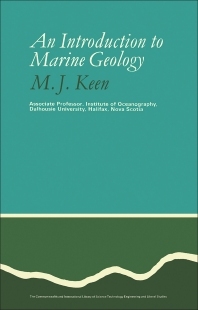 @qu:This is a well-illustrated text book dealing with aspects of marine geology and marine geophysics and aiming to introduce geology students and others to these fields.